In our couple of blog post related to Back to Basics Series we discussed about Virtual Machine Files (Part1) Standard Switches (Part2) vCenter Server (Part 3) Templates (Part4) vApp Part 5 Migration Part 6 and we also discussed about the various tasks related to building Home Lab Part1, Part 2, Part 3,Part 4 and Part 5. 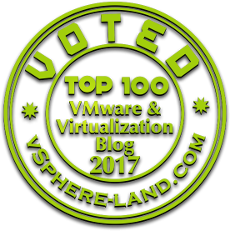 In this article will be discussing about another way of provisioning Virtual Machines using another important feature of vSphere i.e Cloning. Cloning is an alternative way of deploying the Virtual Machine. Cloning a VM will create an exact duplicate copy of the Virtual Machine with same configuration and the software. Cloning Process can be initiated on both Powered On and Powered Off Virtual Machines. While Cloning a Virtual Machine 3 options are available i.e (Clone to a Virtual Machine, Clone to Template, Clone to Template in Library). Cloning can be done only if we are connected to vCenter Server either through vSphere Client or Web Client, we can not clone VM by directly connecting to ESXi host using the vSphere Client. Apart from cloning a VM we can also clone a vApp (Cloning a vApp is similar to cloning a virtual machine). Clone a Role - You can make a copy of an existing role, rename it, and later edit it. When you make a copy, the new role is not applied to any users or groups and objects. You must assign the role to users or groups and objects. Clone Host Profile is a cloned copy of existing host profile.